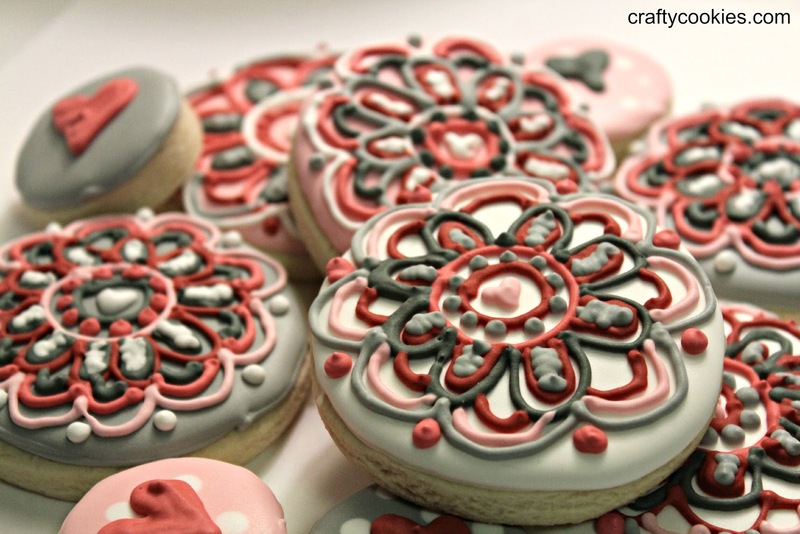 Crafty Cookies: A blog makeover! Welcome to my redesigned blog! After much debate, I decided on a cleaner look that focuses more on the cookies -- and a little less pink. To celebrate the new look, I baked some cookies (surprised?). 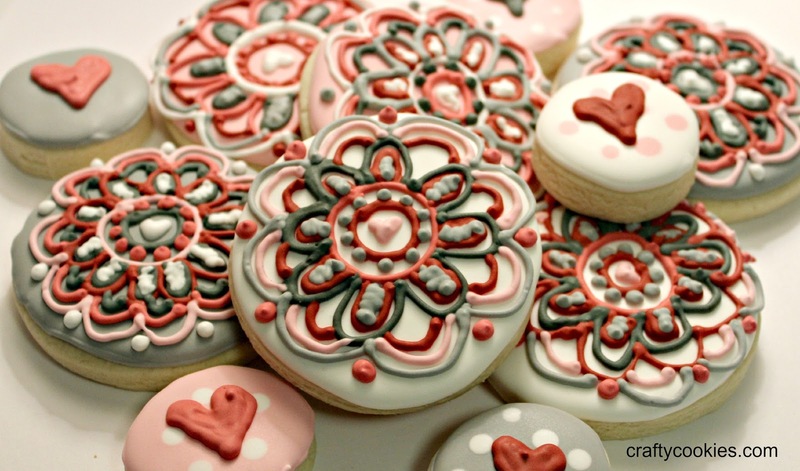 I decided to use a grey and pink color scheme in an attempt to recreate a cookie I'd seen from the talented Hayley Cakes and Cookies. With the redesign, I'm going to try and post more. I've already got a folder full of St. Patrick's Day and Easter cookie ideas. Have an idea for a cool, unusual cookie? Let me know!